The recruitment notification is out for the Direct Entry Petty Officer, Senior Secondary Recruitment (SSR), Matric Recruits (MR). Hence, the age limitation and eligibility criteria are different depending upon the post. Therefore, the eligibility requirements are given for each category. Age: The required age of the applicant should be between 17 years and 22 years. Candidates should have been born between 1 February 1996 to 31 January 2001 (Both the dates are inclusive). Team Games: The applicant should have participated at International/National/State level at Junior/Senior Level or represented a University in the Inter University tournament. Individual Events: The applicant should have attained a minimum of 6th position in Nationals (seniors) or 3rd position in National (juniors) or 3rd Position in Inter-University meets. Age: The required age of the applicant should be between 17 years and 21 years as on commencement of course. Candidates should have been born between 1 February 1997 to 31 January 2001 (Both the dates are inclusive). Sports Proficiency: The candidate should have participated at International/ National/ State level or represented a University in the Inter University tournament. Age: The required age of the applicant should be between 17 years and 21 years as on commencement of course. Candidates should have been born between 1 April 1997 to 31 March 2001 (Both the dates are inclusive). Educational Qualification: Candidate must have passed Class 10 or any other equivalent passed. NOTE: The candidates selected will be appointed as COOKS or STEWARDS. Candidates who have been declared Permanently medically unfit by an Armed Forces Hospital in previous recruitment for the same entry in Navy are advised not to apply. Tattoos: Permanent body Tattoos are only permitted on inner face of forearms that is from inside of elbow to the wrist and on the reversed side of palm/back (dorsal) side of the hand. Any kind of permanent tattoos on any other part of the body is not allowed and the candidate will be barred from recruitment. The application process for the Sailors Recruitment under Sports Quota 2018 has started and will be completely filled with offline mode. The registration has started and the candidates can fill the form through offline mode. The application has to be submitted in the given format on A4 size paper only. Choice of entry from the given option is to be clearly indicated on the application form. Candidates can apply from until 15 January 2018. The last date to apply for candidates of North East, J&K, Andaman & Nicobar, Lakshadweep & Minicoy Islands is 22 January 2018. On the Envelope: The candidates are required to write Type of Entry,nameof District, Percentage in exam and name of Exam passed on the outside of the envelope. The white colour envelope shall only be used if applying for AA entry. The brown colour envelope shall only be used if applying for SSR/ MR/ NMR entry. Kindly Note: Applications will be received only through ORDINARY POST. Applications Received through speed post/ registered post or courier will be rejected. Mark Sheets: One duly signed copy along with self-attested copies of Matric/ Equivalent certificate, mark sheet or certificate of diploma/higher board examination/ matriculation, domicile, if any (The Gazetted officer’s name, signature with office address and seal should be valid and clearly visible). One recent Passport size photograph has to be pasted at the top right corner and one spare recent Passport size photo with the candidate's name written on the back side attached along with the form. Background of the photograph should be blue. Two self-addressed envelopes measuring 22X10 cms with a Rs.10 stamp stuck on it has to be sent to any one of the following addresses. The offline application form will be further inspected for higher education and percentage of marks and can be rejected if not found correct or as per the prerequisites. The shortlisting of the candidates will be based on higher sports achievements. Call up letters to the eligible candidates would be posted, indicating the date, time and place for selection trial. 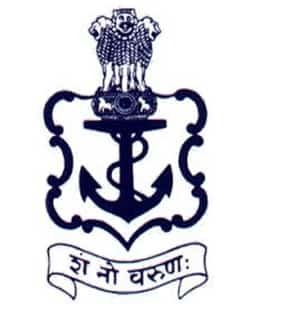 NOTE: The candidates have to qualify the given medical standards in order to be eligible to apply for Indian Navy Sailors Recruitment under Sports Quota 2018 Batch. The medical requirements are given below. Height - Minimum height 157 cms. Weight and Chest are required to be well proportioned. Minimum expansion 5 cms. The applicant should not have any cardiovascular disease, surgical deformities like knock knee, flat feet etc. Infection of ears, no history of fits or psychiatric ailment, varicose vein, corrective surgery for eye sight etc. Candidates are advised to get their ears cleaned for wax and tartar removed from teeth prior to the examination. Merit List: The list of candidates who qualify in all respects will be prepared at IHQ MOD (Navy), New Delhi depending upon the numbers to be inducted. Centre wise select list of candidates will be displayed in the respective Recruitment Centres. Final Enrolment Medical Examination - All select list candidates who are issued with a call letter for Final Medical Examination will have to undergo Final Enrolment Medical Examination at INS Chilka prior to enrolment. Initial Training – Candidates found fit during the medical examination will be enrolled for basic training at INS Chilka followed by professional training in the allotted trade in several NAVAL Training Establishments. Perquisites: The candidates will get books, reading material, uniform, food and accommodation etc free of cost at the time of training. Discharged or Unsuitable: If any of the candidates give unsatisfactory performance anytime during the training period, he shall be discharged off the duties as “UNSUITABLE”. Initial Engagement: The initial engagement is subjected to successful completion of training. Initial engagement is 15 years.